I like space and I like a cafe, too. I like a rocket and I like a cup of coffee, too. 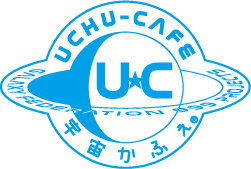 I have been to the Moon because I had been to the Uchu-cafe. I will develop Uchu-cafe like this.